This guide explains how to create a cubemap directly from 3DS MAX. When you're done, use the output to author Virtual Reality projects with Yulio! In the Utilities Menu, find the "Configure Button Sets" icon. The Configure Button Sets dialog will open. On the right, choose which button you'd like to set and then find "Yulio for 3ds Max" in the list on the left side. Double click Yulio for 3ds Max and select OK.
You can use this button to launch the Yulio plugin. Author and prepare your scene for rendering. Check in with the camera positioning and lighting to make sure that your scene is optimized for virtual reality. Open the Render Setup dialog in 3ds Max and ensure that the desired Renderer is set. 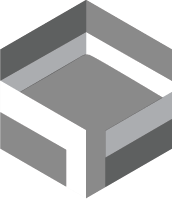 The plugin will use the renderer set to create cubemaps. Select the "Yulio for 3ds Max" button in the Utilities menu. Yulio for 3ds Max will expand within the panel. Step 5: Rendering is complete! You'll be notified once the processing is complete. You can then find the cubemap .jpg(s) in the folder location you selected previously. There will be one cubemap for each scene you selected. Step 6: Author VR Projects in Yulio! Sign in to your account at www.yulio.com to create your VR project using these cubemaps. Check out our article on creating VR projects for more information!